There are numerous public lots in the vicinity, as well as metered street parking at some hours. Please visit our website and sign up for our mailing list to receive the latest information and updates on special events at China Chilcano. Catering on a whole new level; José Andrés Catering elevates catering and event planning to new heights in the Washington, DC area and beyond. Now you can experience the inspired creations of celebrated chef José Andrés at your own party or venue. Visit us for more information at www.joseandrescatering.com. 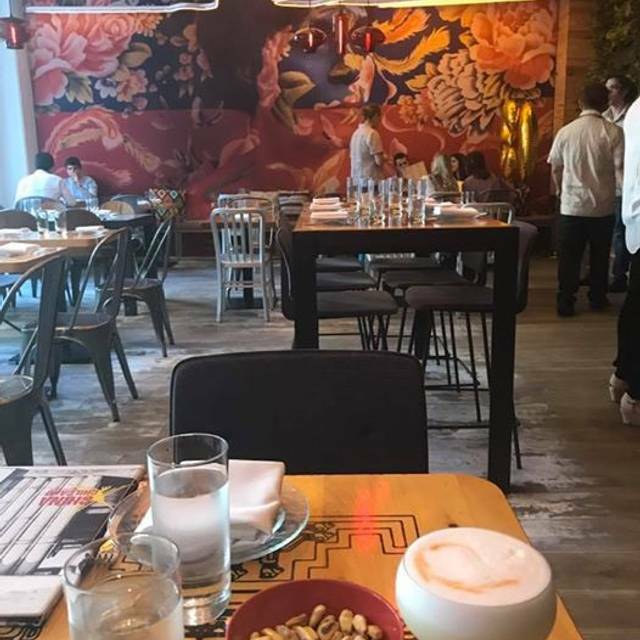 China Chilcano celebrates the fascinating intersection of cultures that defines the culinary spectrum of Peru, interpreted through the inimitable lens of chef José Andrés and his talented team. From traditional Peruvian to Chinese Chifa to Japanese Nikkei, China Chilcano will indulge diners in a spectacular menu featuring a wide range of unforgettable culinary juxtapositions. 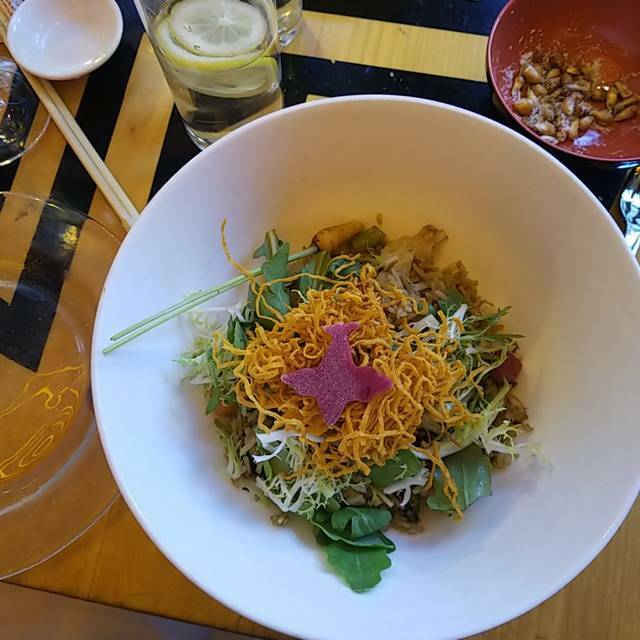 Fried rice, egg noodles, crisp sweet potato, seasonal vegetables, soy bean sprout, "airplanes"
Great food, great informal environment. Drinks and ceviche were delicious. My partner enjoyed dim sum but I was underwhelmed by the lomo saltado. I love China Chilcano! 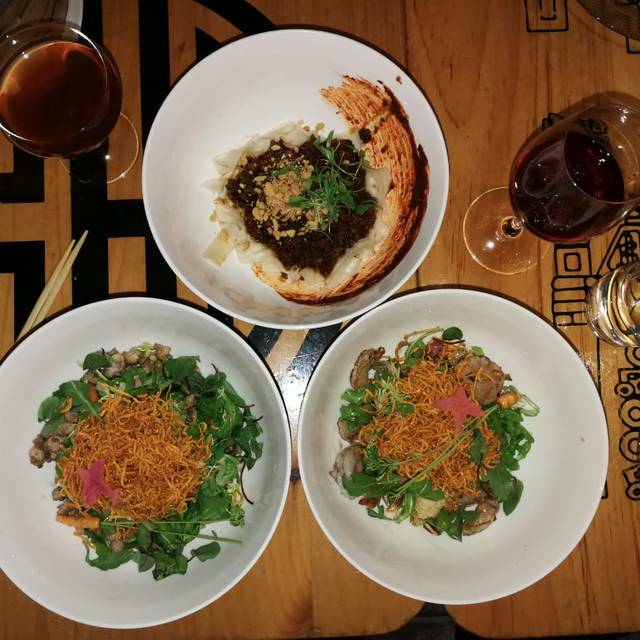 We wanted good food, great atmosphere and the place that we agreed to was China Chilcano. The food is to die for. The drinks are fantastic. The atmosphere is great. The staff is a fantastic. We will be BACK for more fun. Delicious and staff was attentive to gluten-free and vegan needs of the party. I can't wait to go back for more dim sum! Vacation. Great spot for dinner with two children- noice level perfect! We ate at 8:45 and it was totally great even with two children. 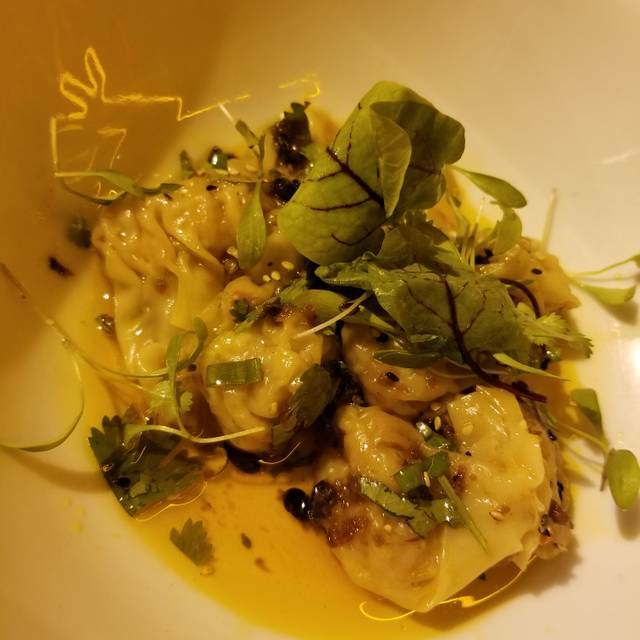 Best crab wontons ever. Fun place to try. Your sure wouldn’t find these food combinations anywhere else. Loved the food. Flavorful and creative fusion cuisine. Nice atmosphere and great service. I’ll definitely be coming back in future trips to DC. Everything from the service to the food was wonderful. I can’t wait to bring more friends back! The menu is definitely different and I wasn’t quite sure where to begin. I asked the waiter for help, followed his suggestions and what I had was outstanding! The cauliflower is the best I’ve had. 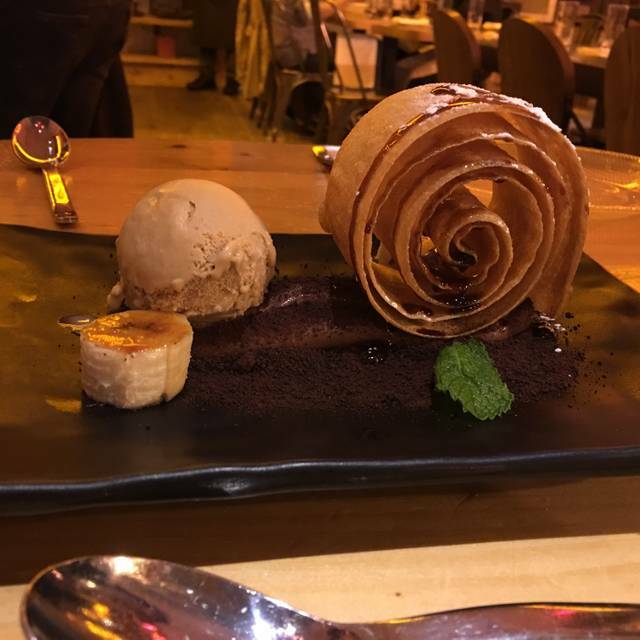 We ordered dessert (I never order dessert) and it was amazing as well! I would definitely go again! Perfect if a bit noisy-- food OUTSTANDING. All of our items arrived at the same time and service was rushed through out the evening. I live in Kansas and come to DC multiple times a year for meetings. 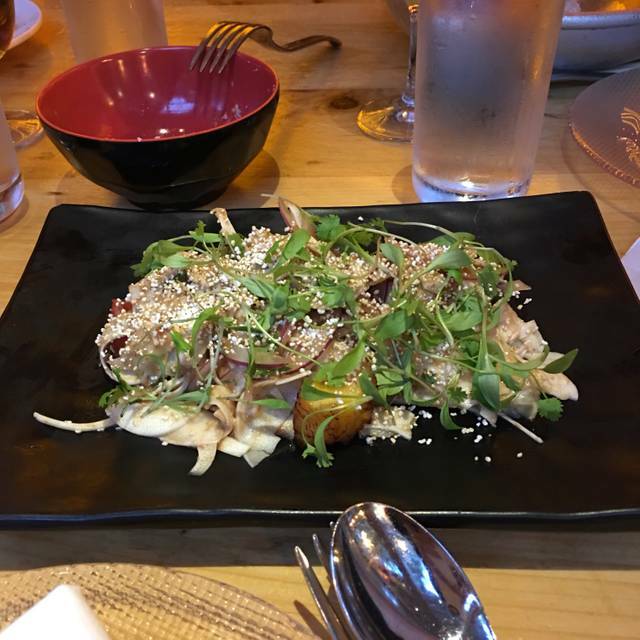 As I make my flight reservations (months in advance), I start to crave the wonderful food, beverages, atmosphere, and service I always get at my favorite DC restaurant, China Chilcano. I think it's comical that I live in Kansas and so often get to introduce DC-area friends to my favorite DC restaurant. They reliably ask, "How do you know about this place? And why haven't I been here before?" By the end of the night most agree that China Chilcano is now their favorite restaurant. Besides amazing foods and drinks, there are those special people that make it all possible. Two of my favorites are Mario (the awesome manager) and Jopis (the gregarious, genius bartender). These two guys - and all the other employees of course - do whatever it takes to make sure all patrons have a wonderful China Chilcano experience. Put ever so simply: You won't find a more fun, energetic, colorful, creative, well-conceived restaurant in DC. I hope you visit China Chilcano soon - so you too can say it's your favorite DC restaurant! The food was great. Original and delicious combinations. Great kitchen and atmosphere - feels like I'm almost in Lima. 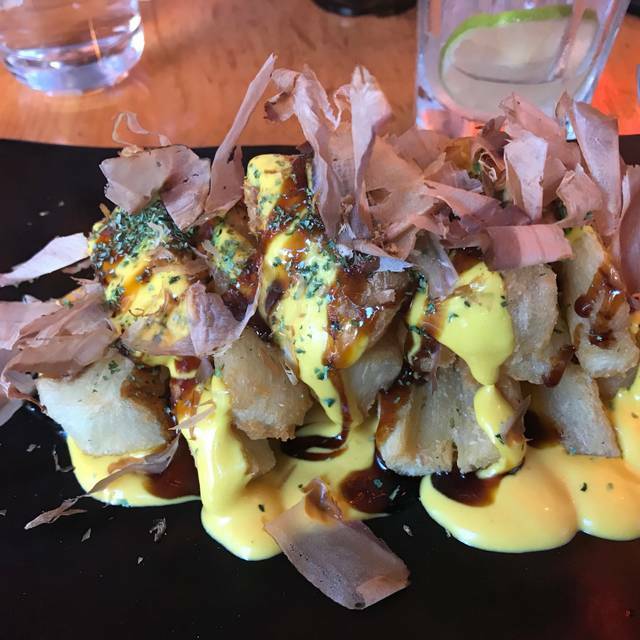 Be sure to take friends and order the ají de gallina - and possibly everything else on the menu because it's all delicious. 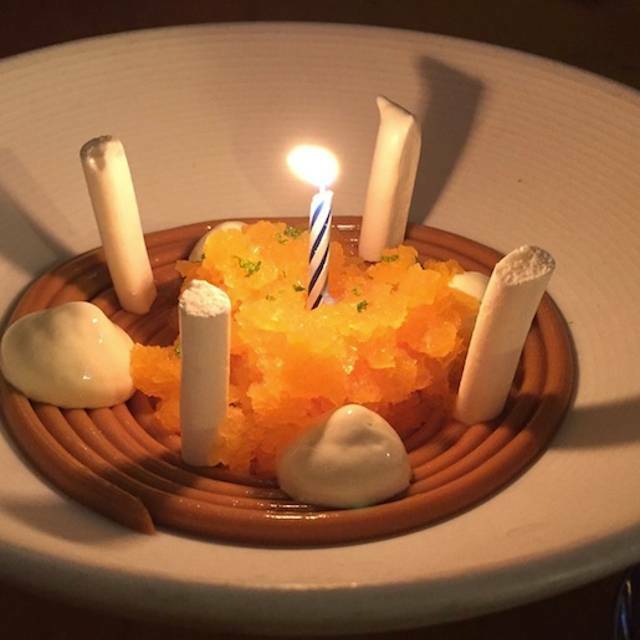 Gracias mil, José Andrés!!! In DC for only a few days but really wanted to dine here. Managed to squeeze in a lunch for some Dim Sum and ceviche. Food, cocktails, and service were all exceptional. My daughter has a tree nut allergy and we were so impressed that they have a special allergen menu available. Highly recommended and we will definitely return on future trips. Had a great lunch. Cool place. We loved the octopus ceviche! Delicious, innovative food. We ordered the tasting menu which was just superb. After several tapas style plates, we were almost full -- and then the waiter told us that the mains were still to come! The restaurant did a good job of adjusting to my pescetarian dietary needs while also giving some meat dishes to my friends, though they did not tell me in time that the potato salad-like dish had chicken underneath it, which was unfortunate. For three people, we had two types of ceviche, a dip with plaintain and vegetable chips, fried shuimai dumplings, roasted cauliflower, a fried rice, noodles, lomo saltado, yuca fries with bonito flakes that were out of this world, a custardy dessert, and popsicles. We also got pisco cocktails (a punch and a sour) that were truly delicious. 10/10 recommend despite the unfortunate chicken incident. 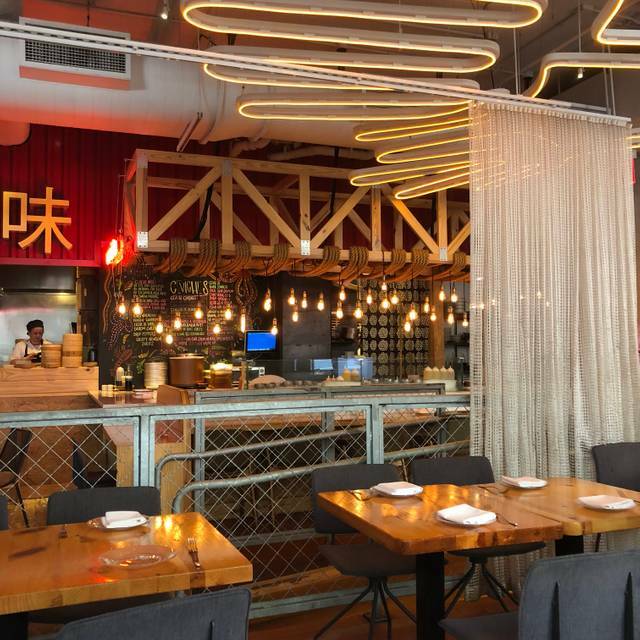 China Chlicano's Peruvian-Asian fusion menu is a bit less accessible than those of the three other small-plates restaurants in the Penn Quarter neighborhood owned by the Jose Andres group. The food is generally well-prepared if not always memorable. The two go-to items I order on each visit there are the Pisco Sour cocktail (refreshing) and a rice-and-vegetable dish called Aeropuerto, which provides more bites, flavor and texture per buck than the bulk of the menu. A couple of us were skeptical about getting brunch here but it was DELICIOUS. Jose Andres comes through again! Superbly light but flavorful, really good Dim Sum buns, and also enough vegan dishes (or dishes that easily can be made vegan) to give our vegan friend lots of options. I would definitely come back here! We tried the Tasting Menu which was fantastic. Our server however did not explain what we were getting until after we asked him (13 dishes plus two desserts). We also had to ask for water refills and our drink order was forgotten and not delivered until halfway through. The service to put our food out also felt extremely rushed such that we had to request for them to wait until we were complete with the current dishes because there was no more room on our tiny table for two. Not sure if this had to do with the fact that we were a later night reservation but it definitely took away from the experience. Overall, the restaurant ambiance is chic, the food variety (this was our first time here) was excellent. Enjoyed the "lunch in an hour". Each tapas dish brought a new and delicious melange of flavors! I totally want to return here. I love all the fun crazy food! The fish is so fresh, and the chicken is perfectly marinated and cooked. It’s so great to share the tapas! This place popped up as my boyfriend and I were planning a trip to D.C. It looked so good. And it was! The food was delicious and the server was nice and helpful. We loved it! Our favorite was the antichuco with mushroom. We will be coming back to try all the other delicious food! Meal was almost entirely starch. A few tasty bits but for the $55 tasting menu it was just underwhelming. A note of thanks to the hostess who responded to my OpenTable request for a relatively quiet table (in this very noisy restaurant) by accommodating my friend and I with a table in the back that was indeed (relatively) quiet. Where we could and did enjoy the food. China Chilcano is always great! I've never had bad service or a dish I didn't like.